Tenor Russell Thomas’ roles have spanned the repertoire from Tamino to Tannhäuser in opera houses around the globe. 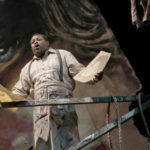 Though not yet 40 years old, the singer is quickly moving into more dramatic repertoire and can be seen this month in his company debut with Washington National Opera in the title role of Don Carlo. Quick to speak his mind, Thomas speaks candidly about everything from why he proactively reads every review to how he feels about recent current events in the business in this Classical Singer exclusive. Consider all the benefits of taking a gig when making your career decisions. As one tenor shows, sometimes the experience is more valuable than the pay. Author Scott McCoy discusses how a second edition and an additional condensed version of his book Your Voice: An Inside View are making the study of pedagogy more easily accessible, as well as future planned publications of his self-owned publishing company. 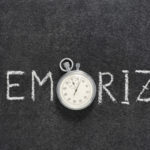 The Music Major Minute : Memorization Techniques—Yes, You Can! You won’t get far in your degree program without strong memorization skills. Take control with these fresh and unique tips. Part one of this article (published in December 2017) explored the issue of poor gender parity that exists in professional opera today, as well as some possible solutions. This second part examines the issue of female/male equality in college and conservatory vocal programs. Francis Scott Key’s greatest musical contribution can create some hurdles for solo singers in large arenas with rambunctious sports fans. 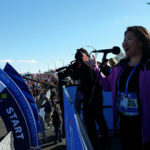 Get tips for managing such difficulties from singers who have faced these crowds. 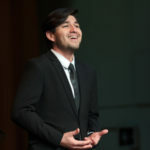 From conducting the recording with score in hand to asking your teacher for recommendations of singers to listen to, find out how to more effectively use recordings in your vocal study.